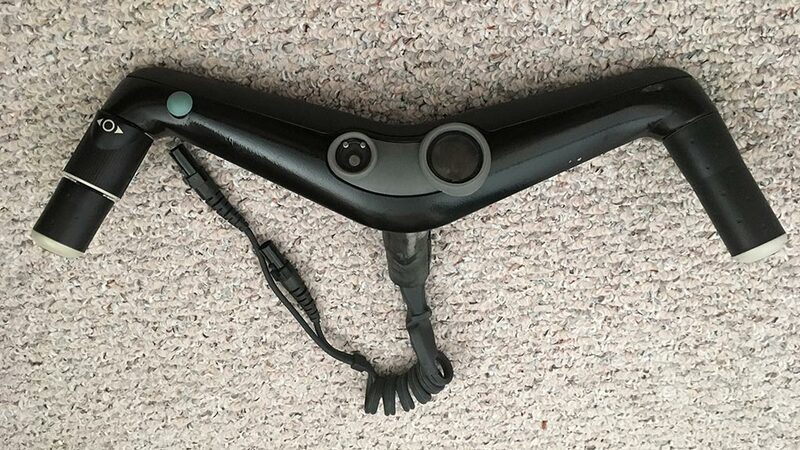 I have an old Gen 1 (hypertronics) handlebar in need of a new home. I haven't tested it in a few years, but it worked fine the last time it was used. It has been sitting in a box in a closet ever since. I painted it black, and there are a few dings in the paint, but it's still in pretty good cosmetic shape for its age. The handlebar includes bezel, button, fixed grip, and steering grip. Any reasonable offer will be accepted. I am looking at buying an I167 bottom end I found on Craigslist that will need this. I have no idea what to offer. What is your best price with shipping to 14865?